Written By: Chester Tolson, PH.D. It's not just hype or hope or a spiritual cliche. It's a scientific fact: Prayer heals. Recent medical and psychological studies claim that prayer can relieve stress, improve attitudes, and mend bodies. Prayer generates peace, power, and health - a triple preventative that guards against anxiety and disease. It's a simple act that heals. 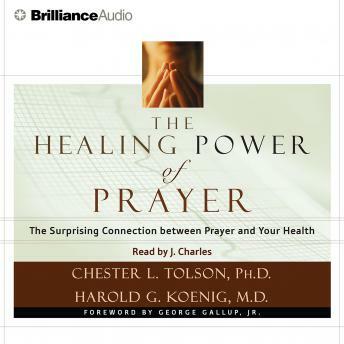 According to Chester Tolson and Harold Koenig, prayer helps people function at their best when life serves them the worst. Even on good days, it enhances the mind-body-soul connection. In The Healing Power of Prayer, these authors explain the nature of prayer, what happens when we pray, the restorative benefits of prayer, how to organize prayer, and much more. Their facts and insights will encourage believers to increase, the fainthearted to revive, and skeptics to begin a life of prayer.